Hilltop Apartment is a welcoming first floor apartment with wonderful sea views, a mile from Kilcrohane. The apartment has a double and a twin room, a bathroom and an open plan living area with kitchen, dining area and sitting area with sofabed for a fifth person. Outside is off road parking, a front deck and shared use of the owner's front lawn. 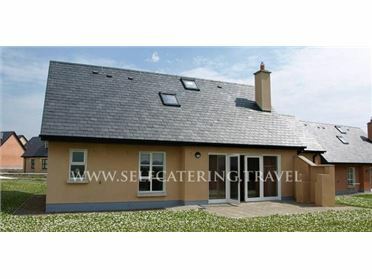 Hilltop Apartment is ideally placed for enjoying this beautiful part of County Cork and the Sheep's Head Peninsula. Kilcrohane is a lively coastal village in County Cork. The crystal clear waters at the coast of Kilcrohane are exceptional and the Sheep's Head Way has 60 miles of trails. The village also offers a traditional music scene. Kilcrohane is an ideal base to stay. Oil central heating. Electric oven and hob, microwave, fridge/freezer, washing machine, tumble dryer, dishwasher, TV with Free-to-air channels, DVD, CD/radio, WiFi, selection of books and games. Fuel and power inc. in rent. Bed linen and towels inc. in rent. Cot and highchair on request. Ample off road parking. Front decked area with furniture. Shared, front lawned garden. One well-behaved pet welcome. Sorry, no smoking. Shop and pub 1 mile. Note: Whilst property is all first floor, there is a decked ramp for access. Note: Dogs must be kept under strict control when outside..